Here are some of Eden Hazard's best Chelsea goals since arriving at Stamford Bridge. Thibaut Courtois has labelled Eden Hazard as one of the "best players in the world" and would like the Chelsea forward to join him at Real Madrid. Hazard's contract at Chelsea expires at the end of next season and he is yet to sign terms on an extension. Earlier this week, the Belgium captain denied reports he had agreed a five-year deal with Madrid ahead of a summer move to the Bernabeu. Courtois told Spanish radio station Onda Cero: "I don't know if he is going to sign for Real Madrid, nor do I know if the club want him. 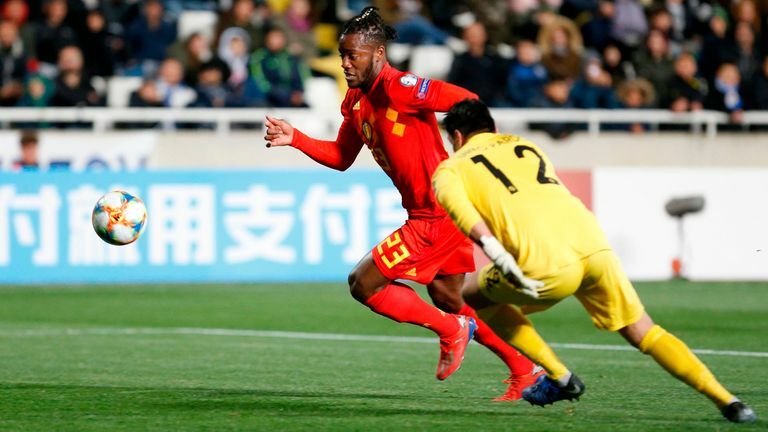 Courtois and Hazard have both returned to their clubs after opening Belgium's Euro 2020 qualification campaign with victories over Russia and Cyprus. Real goalkeeper Courtois, who joined from Chelsea last summer, was dropped to the bench by Zinedine Zidane in his first game back in charge at the Bernabeu, before the international break. 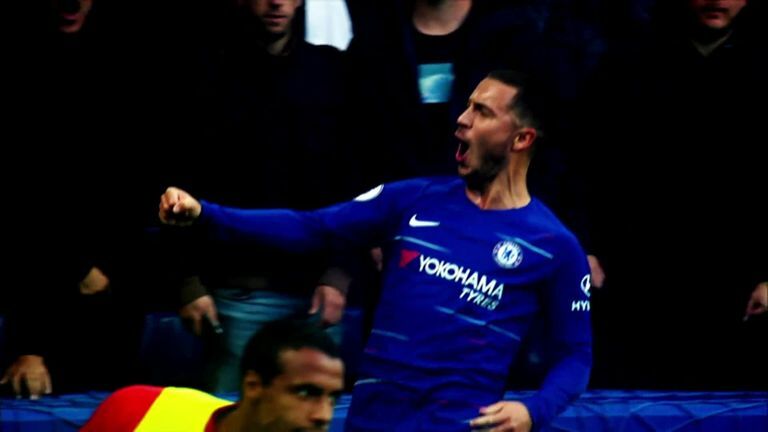 Hazard, who has 13 Premier League goals to go along with 11 assists this season, will attempt to reignite Chelsea's challenge for a top-four finish when they travel to Cardiff on Sunday, live on Sky Sports.